Beibei Li is to become Citi’s head of banking and origination for China’s Belt and Road Initiative (BRI), an initiative geared towards constructing infrastructure along the old Silk Road route. She will be based in Hong Kong, reporting to Gerry Keefe, head of corporate banking for Asia Pacific. 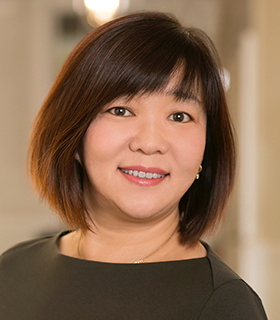 Li relocates from New York where she is currently managing the Chinese institutional client portfolio in North America. Li has worked at Citi since 1999, initially as a management associate. She has subsequently worked in a number of consumer and corporate banking roles. She begins her new role at the start of September. This will be viewed as an attempt by Citi to capitalise on the expected growth in trade spurred by the BRI. The bank is present in 60 of 70 BRI markets. To date, most of the financing has been done centrally by Chinese policy banks and government lenders. However, Keefe says that Li’s appointment will help position the bank as a funding partner for BRI projects. “The BRI is a strategic imperative for all of our major corporate, public sector, financial institution and global subsidiary clients operating along the Belt and Road – both global and local names. As such we have created a new leadership position to help align the firm’s strategic priorities, connect product and coverage partners, and drive further business opportunities across the BRI economic corridors,” he says in a bank statement.